Anna Cameron has always had a passion for writing. She wrote her first novel, The Crest, in 2008 and publishes her books under the pen name, A. Dagmara. Hi Anna, please tell everyone a little about yourself. Anna: I am thirty-five years old, married with children. 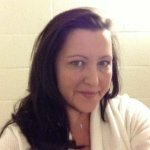 I have over fifteen years experience within the business community as a jack-of-all-trades. Originally born in Poland, my family fled to Austria when I was four years old. The climate in Poland at the time, sadly, was volatile during the Union strikes. My family, consisting of my mother, father, and younger sister, lived in Austria for about six months until we were granted asylum in the United States. We immediately settled in the State of Maryland, where I currently reside with my Husband and children. My family have moved back to Poland in recent years. My life thus far has been an amazing journey. I consider myself more than just a survivor, a firm believer in truly living life. I was a young single mother who eventually married her high school sweetheart, followed by the birth of a second child, who unfortunately passed away at a young age. My eldest daughter and I bonded further than just a mother and child from that moment on. We grieved, mourned, and got through it together. Now, at sixteen, she and I find courage and inspiration through each other. Anna: The writing bug never really bit me, as I had been writing short stories and tales of woe since I was about ten. By fate, and after reading a few books leaving me disappointed and frustrated with some of the story lines, possibly by their pace, I found inspiration to write what I would have preferred to read. During a stint of being ill with pneumonia, inspiration hit. Three weeks of fevers, lethargy, and bed rest, I wrote The Crest. The intention to publish never occurred to me. It was when I moved three years later, and my current husband picked up the dusty manuscript without my knowledge. He read the manuscript and loved it immediately, suggesting I set a goal to one day publish. I entertained him, stating that I would one day, simply to stop pushing the subject, never truly intending to publish. Both embarrassment and lack of confidence hit me hard when I reminded myself what I had written in the first manuscript. See, the genre in which The Crest falls under is an Adult Paranormal Romance, Erotica. Needless to say, I was a bit modest to the writing, or more like some of the scenes in the book. Being my husband, I was insecure about how he would perceive me for writing about such an intimate subject. Over a year ago, he decided that I needed to do this. Revisiting the manuscript, I spent another four months re-reading it and altering it. Since that time, I was so entrenched in the story I wrote two more books to follow it up. I guess you could say I fell in love with my own characters. Anna: When I decided that I wanted to share my stories, the first thing I hoped for was that there were more readers, such as myself, that are annoyed with the pace of the average romance novel. In real life, we don’t wait until we know we love the person to dive into all that leads us there. Relationships are not a cookie cutter from each person, so why are most of romance novels? Yes, their plots all vary, but the pace and structure of the romance between characters are not. Personally, I’ve read over four hundred book alone in the past year and a half, and only a handful were against the grain. I wanted to have a “reality” approach. Perhaps I’m going against the grain and many do enjoy the long, and drawn out pace. I also felt that I didn’t want to be predictable when it came to the development and story of my characters. Anna: The biggest hook to the story is Lillian Holt herself. Not all is as it appears to be. She is what most woman want to be, strong independent and driven. However, like most of us, she’s flawed and has a lot of unwanted baggage. The development of her character leads into a world of underlying secrets and twists, sure to keep the attention of a reader. Her strength is one of inspiration and her inner turmoil is emotional heart gripping. Anna: Most of my characters are inspired by actual people, events, and conversations – mostly conversations. However, my settings along with plot are inspired from dreams. 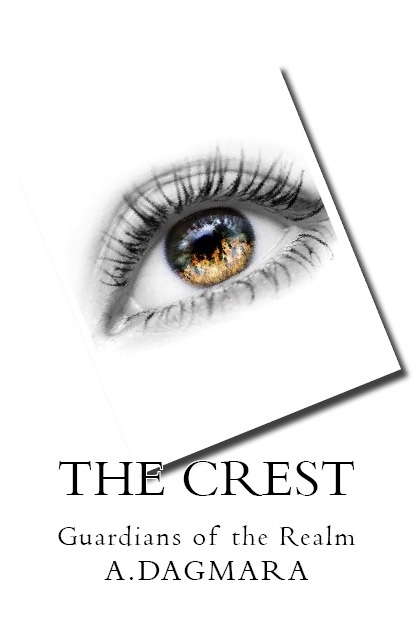 The Crest, my first novel, was completely inspired by a dream. My daughter’s tenacity, humor, and strength inspired the main character. Though the character differs from her, it was my daughter’s nature that I modeled the main character after. I wanted to highlight those qualities within my characters and strive to do so. Anna: In The Crest, my most likable character is Kurt. He is a sudo, brother, and the main character’s best friend. He has known her since birth and kept watch over her. Being level headed and caring, he truly would do anything for her. As his character evolves through the story, it is easy to see how and why most of my readers fall in love with him. He is the good guy next door! The most unusual character is Skylar, dark mysterious, not to mention the bad guy. In the second book in the series readers learns so much more about him and his motives, they won’t know whether or not they want to torture him or hug him. He’s my loveable monster, so to speak. Anna: When writing, I typically find myself writing an outline; however, almost always straying away from it. I also keep a separate file on each character – their description down to how I want them to develop through the story. Initially, when I first wrote The Crest, I went by nothing and just wrote it as it came. Not the best way to write, but amazingly, it worked. My writing and techniques, with time and practice, are ever evolving. I’m not shy about calling myself a young writer, and even revel in it. 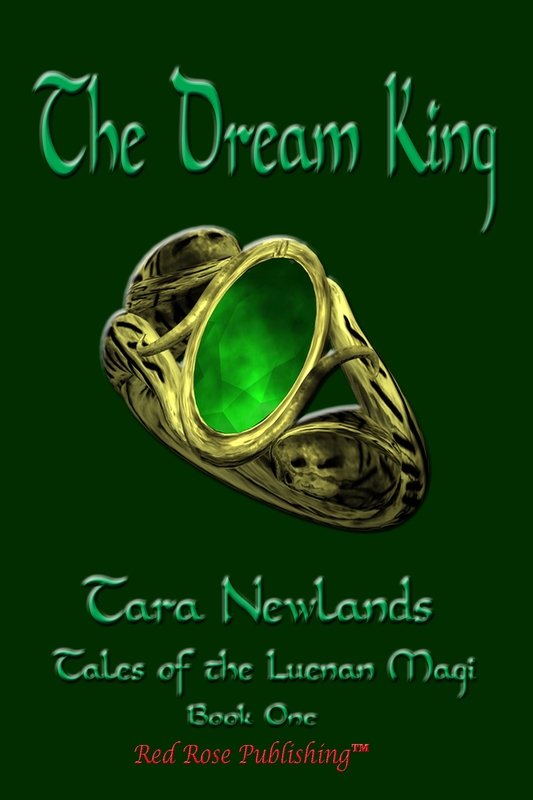 Anna: My Current project is the last book in the Guardians of the Realm series, The Gates. This story gives the reader an insight into the “Tri–Fecta”, by giving her a voice. Through the first two books, she has no voice, and the opinion of her is less than favorable. The Gates brings us to the conclusion of the search and epic journey, safeguarding the Realms. 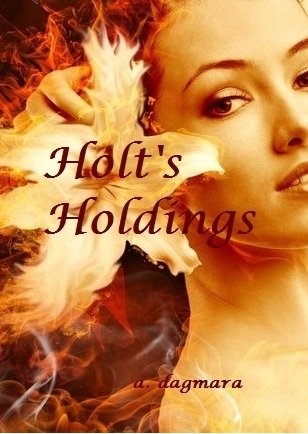 I am also finishing up the second book in the Holt’s series, Holt’s Vaihn. The second book answers many of the questions left unanswered and is set in New York City. Anna: To learn more about my latest projects and upcoming events, readers can stop by my website: www.adagmara.com or find my author page on Facebook. On my website, I offer previews of my books and latest projects, as well as encourage those to follow or participate in my blogs. 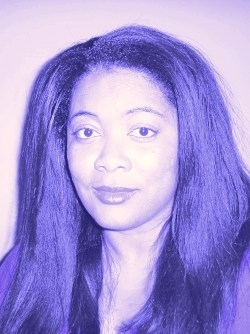 In my blogs, I share with my viewers my current reads and thoughts. I’m a huge fan of books and emerging authors. Some of the best stories I’ve read were written by authors who could not get published traditionally. They are my courage and should be respected for the time and work it takes to get our stories out there. Happy Reading! Thanks for joining us today, Anna. Anna: Thank you for the opportunity.